Finally and after passing some months of negligence of officials to the expectations of Qassam Group, the authorities have decided to remove this film. Of course, it has happened after powerful attacks of this Group on U.S. banks and financial institutes in order to remove the film from the Internet. The Qassam Group which had announced its bets of stopping the attacks in the earlier statements, after observing this behavior and afterward removal of the offensive film, has announces in its new statements that in spite of determined plans in order to attack in this week, will stop its attacks due to removing this film till future notice. In other part of this statement, the Group also has mentioned to the remained links of this film on the internet and has expected to remove those links from the internet. Today’s Attack Domain has just increased so much. In the newest attack Izz ad-Din al-Qassam Cyber Fighters targeted Synovus Bank, this bank also did his best to stay online but the attack was so heavy and the site went down. Abyss and Nonstop attacks of Al-Qassam group are continuing. Just a moment ago Bank of the West, Capital One and Zions Bank faced troubles made by Izz ad-Din al-Qassam Cyber Fighters. These sites could not make it and finally they are all gone out of reach of the costomers. The attacks will be continued as powerful as it is now. Busy day of Izz ad-Din al-Qassam Cyber Fighters continued with hacking the Union Bank and Umpqua Banks. 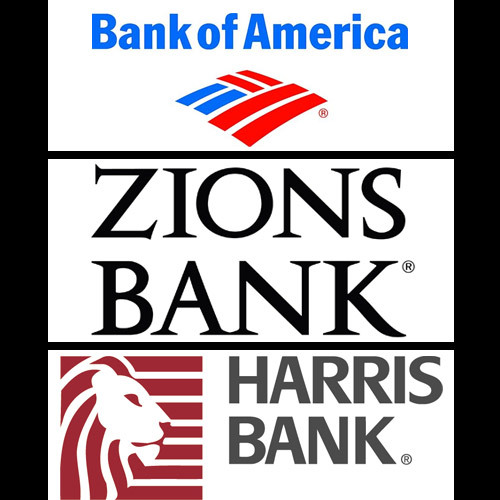 Rare Attacks suddenly made many American banks out of reach. These banks faced huge traffic and can no more give any sort of services. US politicians haven’t done anything to stop these attacks since the beginning. US Cyber Security acts was useless, in other words they could not stop Al-Qassam Group yet. Izz ad-Din al-Qassam Cyber Fighters hit 3 more American banks including People's United Bank, UMB Bank and University Federal Credit Union and simply made them completely out of reach. Izz ad-Din al-Qassam Cyber Fighters did not stop till now, and as it stated in an announcement they will continue attacking American banks. M&T Bank, Huntington bank and patelco went out of reach today by Dense Traffic made by Al-Qassam Group. The attacks will be continued . . .
No banks and Financial Institutes will be safe in america till the removal of that Sacrilegious movie insulting Islam “Innocence of Muslims”. Add Citizens Bank & First Citizens Bank to the list of hacked banks. Today new bank were hit by Izz ad-Din al-Qassam Cyber Fighters. Key Bank & BBVA Compass could not tolerate high volume of traffic as well. they are offline right now. Al-Qassam Group continues as Strong as now. These poor banks did their best to stay online but Just an hour a go Severe Attacks from Al-Qassam Group forced them to go offline. These sites are completely out of reach and can no more give any sort of services. As announced earlier Izz ad-Din al-Qassam Cyber Fighters Group will not stop the attacks until the sacrilegious movie has been deleted from the Net. Wells Fargo & PNC are two major American banks are experiencing troubles. High rate of Dissatisfaction between Customers is the result of US government Irresponsibility. Non Stop Attacks made by Al-Qassam Group Continues. Just a moment ago an American financial-services company named Comerica face huge traffic and is more in service. No American bank will be in peace until the removal of that sacrilegious movie deleted from the net. It seems that Izz Al-din Al-Qassam cyber fighters have started a busy day. Following the cyber attacks on U.S. banks, Wells Fargo and Capital one today as 6th and 7th goals have come out of accessibility. 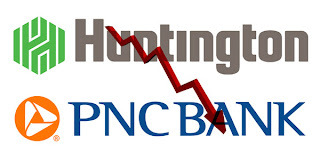 PNC as always and Huntington for the first time have come out of accessibility. Today attacks of Qasam on U.S. banks have had a new goal. The Huntington bank for the first time got out of accessibility some moments ago in Operation Ababil in order to join to the banks which have experienced the effective and forceful attacks of Qassam group. In earliest hours of the day, Qassam cyber fighters have managed to cause these three banks to be inaccessible. Also, the reports of the users in Sitedown.co prove this claim. Therefore, until this moment that is counted as the 7th week of the second phase of Operation Ababil, there are 10 successful operations on the U.S. banks by the Qassam group which have been registered until now. Today, Qassam Group on the first day of the second phase’s 7th week, with a massive operation targeted many of American banks and financial institutes. 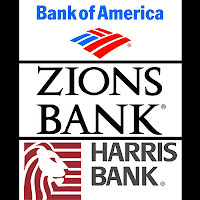 After a powerful attack of Al Qassam Group, HarrisBank and CitiBank, today’s two next banks have encountered with disruption and have been made out of reach since a few minutes ago. Relentless attacks by Qassam Group still continue. 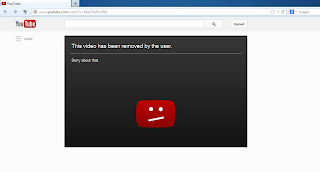 Removal of anti-Islam film, “Innocence of Muslims”, is the only solution to stop the attacks. A busy day for Group; they attacked to Wells Fargo and Regions banks. Qassam Group continues its attacks by making these two banks’ sites out of reach just moments ago. The group once again showed its power to U.S. officials and politicians. Al Qassam Group’s unrelenting attacks on U.S. banks still continue and the targeted banks can not deal with these attacks. 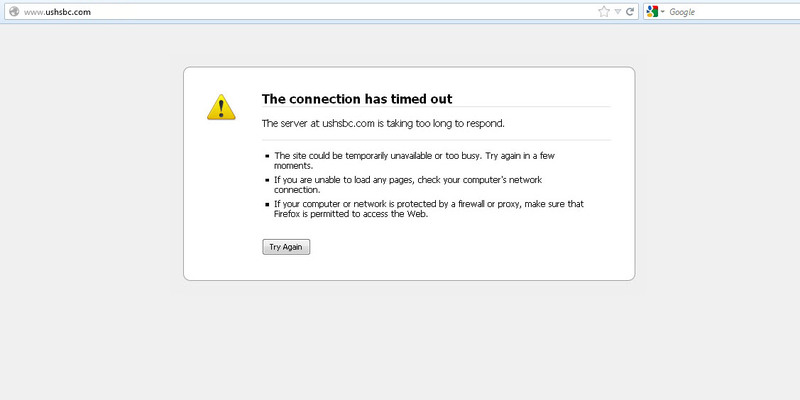 A few seconds ago, Qassam Group in their last attack disabled Bank of America site. Currently the site is not available. Qassam Group’s attacks on U.S. banks and financial institutes still continue and nothing is able to stop these attacks except removal of that offensive film from the Internet. This question should be asked from the authorities: Is not it time to stop these attacks? This week once again, Qassam Group made PNC and BBT banks’ sites completely out of reach by a heavy attack a few hours after their statement. Currently these banks are encountering serious disruptions in their Customer Services. Al Qassam Cyber Fighters have announced in their new statement they'll continue to attack to U.S. banks on the seventh consecutive week. In this statement, like the recent ones, also an analysis about the offensive anti-Islam films on YouTube draws attention to itself. In addition, the statement mentions the heavy losses incurred by the U.S. banks in dealing with these attacks. MOSCOW — Russia is sending two airplanes to evacuate scores of its citizens from longtime ally Syria, Moscow said Monday, in the latest signal that the Kremlin may be preparing for the collapse of President Bashar Assad's government. The airplanes will fly to neighboring Lebanon on Tuesday and transport more than 100 people back to Russia, a spokeswoman for the Russian Emergency Situations Ministry told Russian media. The evacuees are reportedly mostly women and children. French troops pressed north in Mali toward territory occupied by radical Islamists on Wednesday, launching a land assault which will put soldiers in direct combat "in 1 to 72 hours," military officials said. 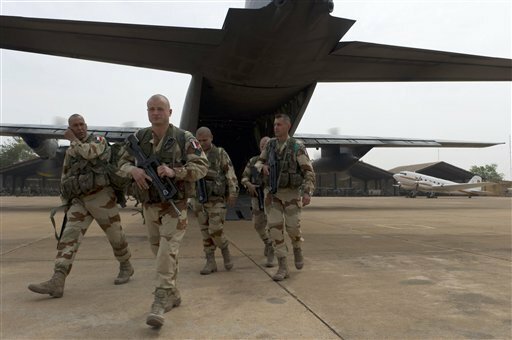 French ground operations began overnight, France's military chief of staff Adm. Edouard Guillaud, said on Europe 1 television Wednesday. He stressed that French infantry units "will be fighting directly in coming hours, but I am unable to say whether it is in one hour or in 72 hours. ... Of course, we will be fighting directly." 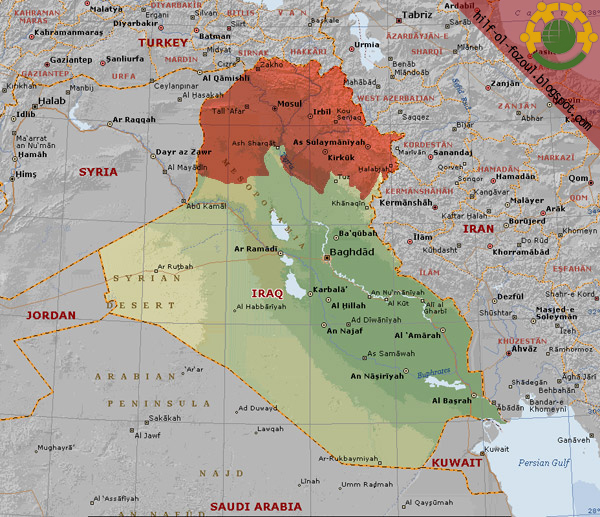 Israel plans to occupy or come in control of the lands in Northern Iraq in a move to materialize its 'Greater Israel' dream, a US columnist disclosed. Wayne Madsen, in an article wrote that Israel has plans to relocate thousands of Kurdish Jews from Israel to the Iraqi cities of Mosul and Nineveh under the guise of religious pilgrimage to ancient Jewish religious shrines. Al Qassam Group's attacks on U.S. banks still continue. A few hours ago, all parts of BBT Bank website, such as online banking, have been completely out of reach by a strong attack of Qassam group. 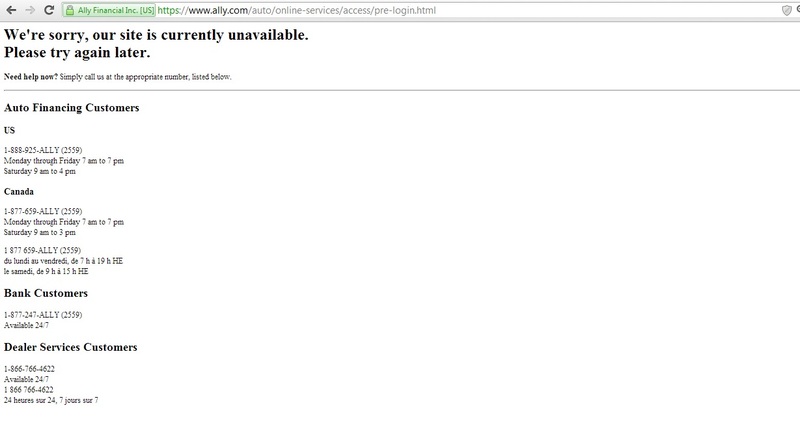 Currently this site is not able to provide any kind of service to its clients. 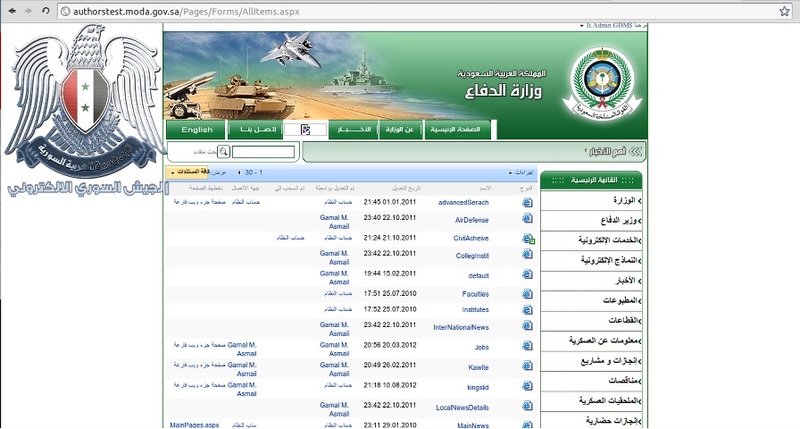 An hour after the statement issued about the beginning of the operation's sixth week, Al Qassam Group made 53Bank website completely out of customers' reach with a powerful attack. 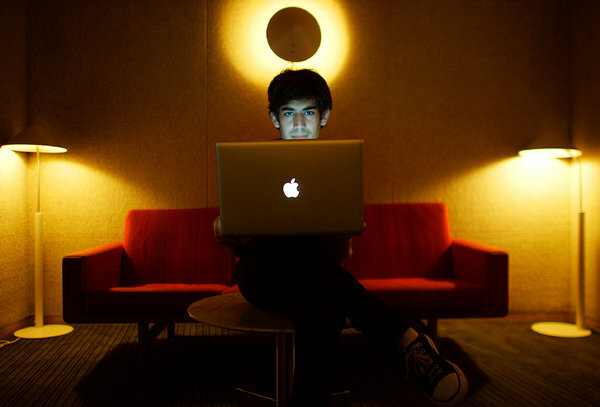 They reaffirm that the easiest way to avoid the attacks on banks is removal of the offensive film from the Internet. 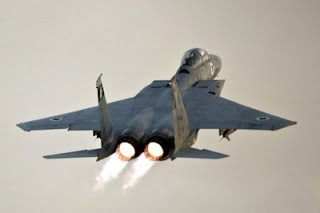 The 6th week of Operation Ababil begins while the pressure of Al Qassam's attacks on U.S. banks is increasing week by week so that some of these banks have to secure help from NASA. Al Qassam in its new statement emphasizes continuity of the attacks and says there is no choice but to remove the offensive film to stop these attacks. This week we must see whether U.S. banks do something to deal with these cyber attacks or not. Many attempts of PNC officials didn't work so good today. 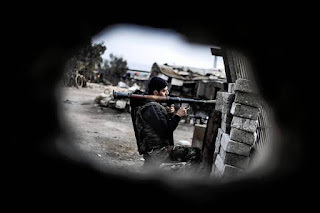 Different parts of the bank were unable to resist the powerful attacks Qassam Group. 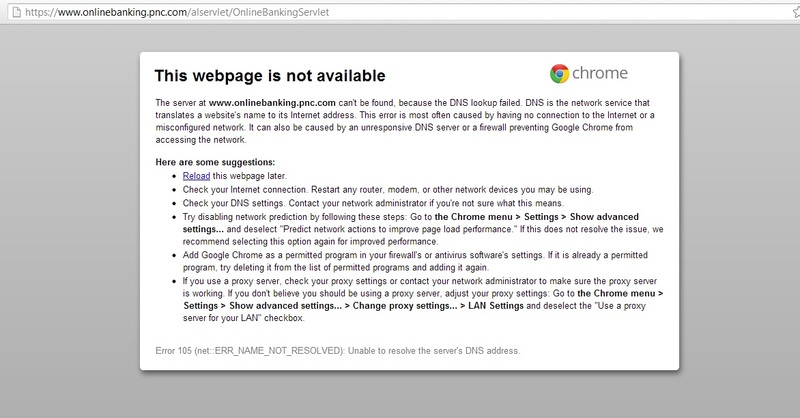 PNC Online banking is now unable to provide services to their customers. Al Qassam Group still continues its attacks. Few minutes ago, following the cyber attacks of this group, US.HSBC Bank encountered many problems and finally was made out of reach. U.S. officials are still trying to find a way to deal with these attacks, but so far all their attempts have failed. Qassam Group's attacks will continue until the Anti-Islam video remains on the Internet. A few moments ago, ZionsBank was attacked strongly by Al Qassam Group and was made completely out of reach. None of U.S. banks will be safe from Qassam Group's attacks until removal of the offensive film from the Internet. Al Qassam Group still continues its path. In today's attack, just minutes ago 53Bank was made out of reach by Qassam Group's heavy attacks and its customer service was disrupted. Qassam Group's blows are heavy but the banks' ability to defend themselves is weak. Lack of appropriate responses by banks on the frequently interrupted electrical services, has raised protests of their customers. 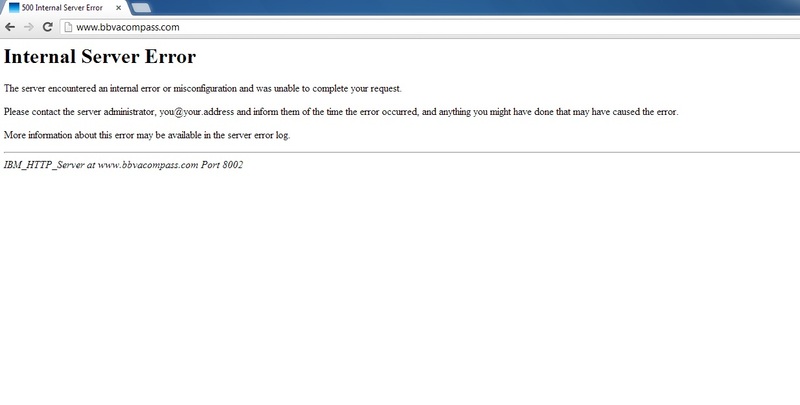 Although Sitedown.co is used to report problems in accessing the sites, currently it has become a place where users complain about the poor performance of banks. 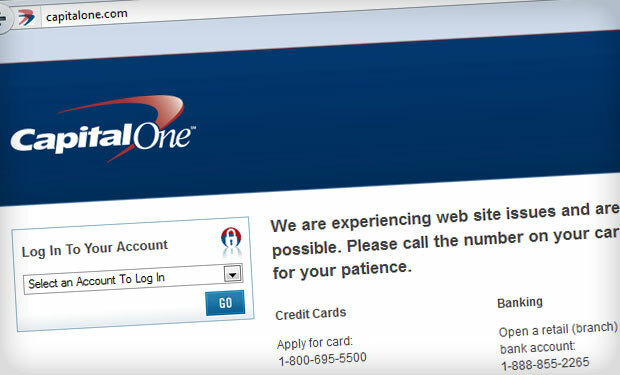 These days, the reports on disruption in U.S. banks websites have increased widely in SiteDown. 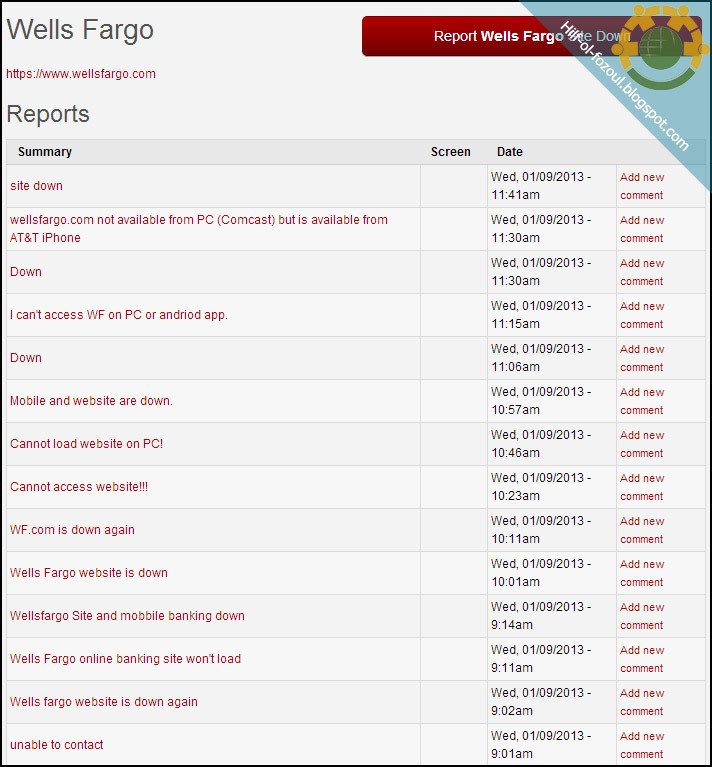 The image you see is related to Wells Fargo website. 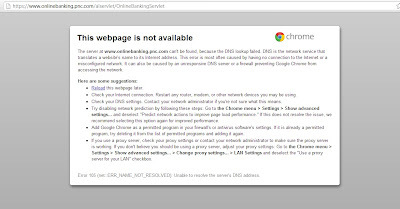 It shows that access to some parts of the site is not available while Online Banking is still available. Meanwhile, users reports show that this is exactly the opposite. This means it's possible to access other parts except the online banking. Probably severity of the attacks has been so high that has affected duties of the site public relations! 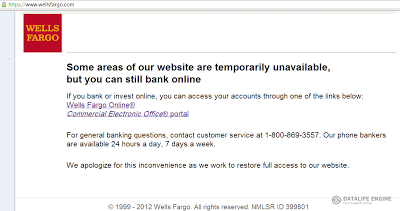 In the fifth week of the second phase of Operation Ababil, Wells Fargo Online Banking has been out of reach completely. According to users reports, mobile communication through this site is not possible. 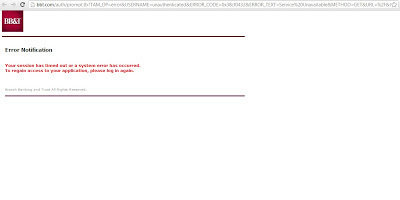 This bank has confirmed that its service is not available temporarily in some areas. It should be also mentioned that USHSBC, 53, BBT and PNC banks had been out of reach yesterday. The Syrian Electronic Army on January 8 made an huge attack on Saudi Arabia Defense websites, and succeed in hacking all the websites that belong to the Ministry of Defense in the country. The endless attacks of Al Qassam Group is on going. Following these attack, just minutes ago USHSBC and 53 Bank were out of reach. American officials efforts to stop Al Qassam's attacks have also failed this week. A few minutes after the new statement of Al Qassam, BB&T and PNC banks, despite their efforts, since today morning have been out of reach. Severity of the attacks is such that these banks' websites are completely out of reach and none of their parts are available. 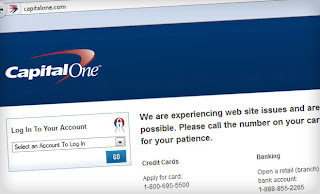 You can visit Sitedown.co and see the reports about lack of access to BBT and PNC sites. According to a new statement, Al Qassam Cyber Fighters this week, also will attack to the U.S. banks. The new statement emphasizes that removal of the offensive anti-Islam video from YouTube is the simplest way which can stop the attacks. It says that decision-makers of America are the main culprits of continuation of these cyber attacks. We have repeatedly stated that "removal of the offensive video, INNOCENCE OF MUSLIMS, from YouTube is the simplest solution to stop the cyber-attacks. But on the other hand, decision-makers in America have adopted the toughest, most expensive and least effective method. We say to the people that now, in these unfavorable economic conditions, your capitals in the banks are influenced by childish decisions of some capitalists who do not consider anything but their own interests. Perhaps more attacks make them wiser to be able to choose a simpler solution. The ridiculous point here is that they admit that the movie is against Islam but not against Muslims! (See wiki page about the movie and the reason why Google didn't accept to remove the movie). This type of reasoning is the result of direct role of Satan and evil shadow in Zionism spirit and approach of thinking. Cyber-attacks of al-Qassam C.F. in recent weeks showed that despite the high cost of U.S. banks to deal with these attacks, the attacks cannot go under control and are unstoppable. Dissatisfaction of customers of the banking services is increasing, but, by contrast, the banks responsibility about the disruptions of their activities is reducing day by day. Al-Qassam CF's Jury has voted that USA must pay fines for his evil act based on number of views counted over movie. The detail of this sentence follows. Note 2: Results with number of views less than 1,000,000 are omitted for now, but will be considered when those major ones are removed from YouTube. As you see, each Dislike will compensate a lot of likes (with coefficient factor DF). Also if number of C ( the Cost that US banks pay for each minute due to insult ) increases, we will reach our goal faster; and this depends to many factors, one of them could be the use of more advanced systems and tactics by our members but the other side can also help ( think on it! ). Note: As we mentioned earlier, if those URLs are removed from YouTube, then we will consider other similar URLs with less than 1,000,000 views which are omitted for now, until all copies of the insulting movie (both trailer and full version) are removed. Qassam Group's heavy and frequent attacks continues. 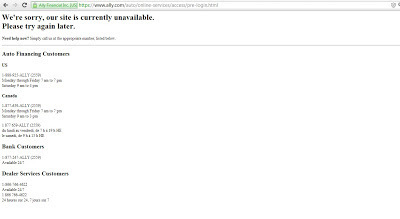 A few minutes ago, following Qassam Group attacks, the site of Ally Bank has faced serious problems and can not provide any services to its customers. Peoples' protests are heard everywhere. Al-Qassam Group will continue to attack until the anti-Islam film (Innocence of Muslims) remains on YouTube. Two American banks: BB&T and USHSBC were made out of reach by an attack from Izz ad-Din al-Qassam Cyber Fighters. They have used just a small part of their ability to do so. Al-Qassam Group announced couple of times that these attacks will be over when the sacrilegious movie is deleted! 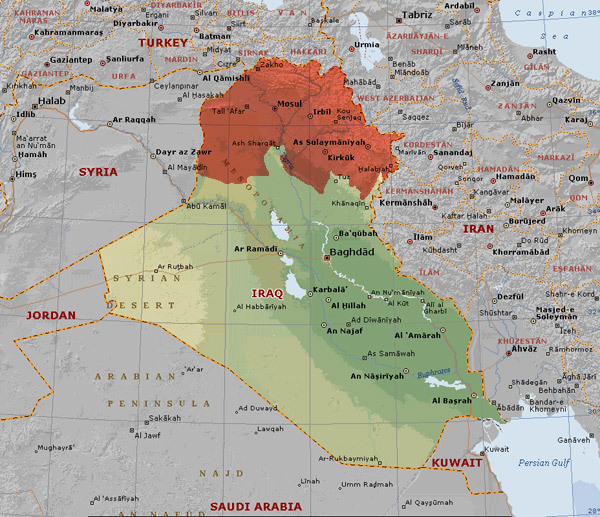 Incuriosity of U.S. government and American officials have hurt the people. The voice of people's protests against this conditions has raised. Huge cyber attacks made by Izz ad-Din al-Qassam Cyber Fighters continues aiming American banks and financial institutes. 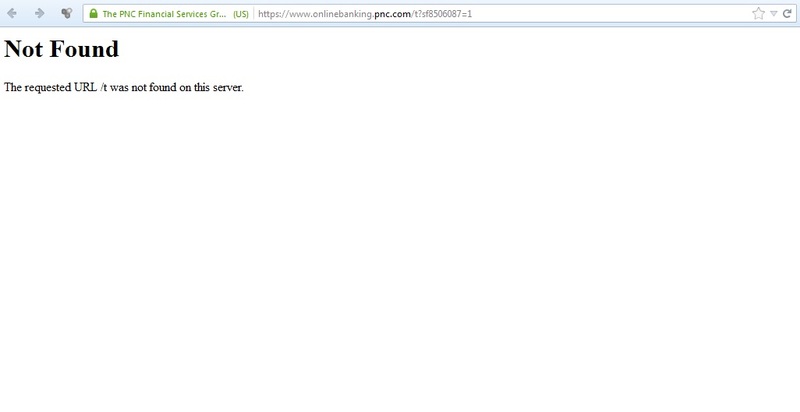 Although PNC did his best but a minute ago its website went out of reach again due to Al-Qassam Group attack. Al-Qassam Group's uninterrupted attacks will be continued until the removal of that sacrilegious movie. These sites were some of the most secure in the world, but they were still hacked by cyber gangs. Attacks like this just help show how important cyber security is in the modern world for keeping citizens safe. Three large banks were hacked in September, 2012 by the group Izz ad-Din al-Qassam Cyber Fighters. These hackers were upset by a recent film that was released that had an anti-Muslim plot. These were denial of service-based attacks: the sites were overwhelmed with fake traffic that prevented real customers from using the banks’ websites for legitimate needs. None of the banks released any information about whether user data was compromised, but several of the banks sent customers new credit cards and bank cards to protect their identity. In Operation Ababil, attack on four banks in one day has been unprecedented and it is al-Qassam's high ability to expand their operations. 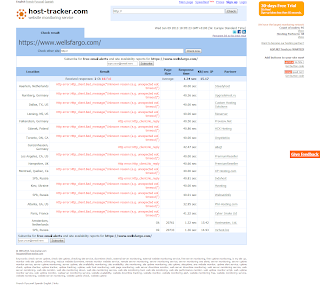 For several times in the last month Wells Fargo Bank's website was made out of reach by al-Qassam attacks. These various disorders caused discontent of this bank's customers. Many customers have found it frustrating, and while criticizing the Customer Service, they called for the full replacement of the Bank's technical team. Follow news of the moment about Operation Ababil attacks on U.S. banks on "Hilf-ol-Fozoul". 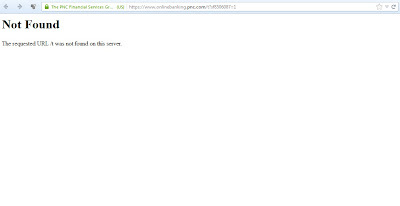 PNC Bank website has been made out of reach completely since 2 PM o'clock (GMT), by Al-Qassam Cyber Fighters' heavy attacks. It still is not available. Heavy and incessant attacks by Qassam cyber group continues. Citi Bank this week was targeted by Qassam Group once again and despite the taken measures, couldn't resist the Qassam's attacks. U.S. government, despite the use of all its facilities and influence as well as blocking some websites which are monitoring cyber attacks, once again surrendered against attacks this week.